Welding rig jobs are in high demand, because there are so few people who have the skills required to do the welding using special equipment. In some cases, the work involves being underwater, while performing tasks, the other times welding on offshore oil rigs is being performed using rope access - both types are being paid for exceptionally well. Find your employment in Kenya, Australia, Algeria, Russia, Nigeria, Norway, United Arab Emirates, the Gulf of Mexico and many other countries worldwide. Rig welding jobs salary normally stays around $ 62,000 a year. This is more than double the average salary of welders in the production sector - good news that more production jobs move overseas. Even if this may be your first oil rig job, you still have a chance of getting hired as an entry level welder. The oil industry is always looking to hire qualified welders to perform welding tasks on offshore platforms, considering the whole structure is in fact steel framework. Of course, it helps with having certifications required by different jurisdictions. In the UK, some oil companies require their welders to be licensed to "6 GR" by the CITB. In the USA, most of your welding certificates are not transferable between oil drilling companies, and only last for six months. The exception is if you take your welding test at an accredited AWS. The lucrative salaries that are offered for wet welders is one reason why so many people consider learning the welding crafts. Welding can be taken as a trainee course or as a learned art in a trade or vocational training schools. With an economy crisis many professionals are out of work, but welding is one of the few crafts that still pays a higher salary and seems to be relatively safe and stable. Taking into account the most lucrative salaries that exist in the offshore oil platforms, a few people are taking steps to see if they can qualify for some of the existing drilling jobs. Welders are one of the many jobs that are lucrative and more stable both onshore and offshore. There are several types of welders. Each is a specialized job that requires great skill to carry out. Welders work in shipping, in auto repair and manufacturing, as well as in the oil industry, both offshore and onshore. Welding on a ground position will bring regularly 15 to $ 20 per hour, jobs in welding remaining quite stable at this time. Q. I am a Spanish boy and wanted to ask where to address in order to work on an oil rig. I'm a welder and heavy metal structures high pressure vessels (tig-mig-mag, etc..) I love to work on some and then later to do the same job as you. Diver welder, welders there any school where I teach that work underwater. I'll thank you to give me some references. Q. 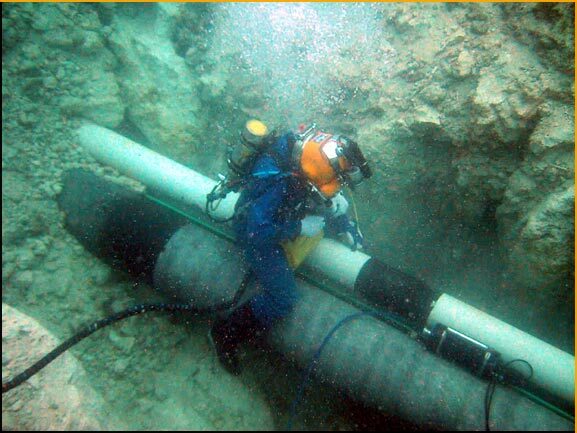 My question is concerning the underwater welding and cutting, I am looking for my professional development as a diver welder, would you recommend me some underwater welding school in Peru. Relying on his valuable experience in the field I leave. A. Hello, friend, I'll tell you a good school that teaches courses in underwater cutting and welding is the ADC which is based in the USA and in Brazil. The course costs you around 1500 dollars, when you finish the course you are getting a certificate and a card from the ADC specifying that you have successfully completed the certification course. This certification is going to open the door for you to the American market, so you can work in different companies, I hope I've helped, greetings. The same way the positions of offshore oil industry are stable for those who are doing welding as profession. Jobs for rig welders are hard to come by, but that is not because they are not plentiful. It is mainly because they are difficult to qualify for. There are plenty of welding vacancies on the rigs. In fact, they are more plentiful these days with some new equipment in the game for some older production and decommissioning and demolition. Each of these takes skilled welders offshore to mount or dismount various constructions. Sometimes the work is so delicate that it is made with computers or robots to carry them out, but still, should be supervised by a welder who is skilled in their craft. Tasks of offshore welding requires not only skills in welding, but also a talent for scuba diving, as well as in most cases welder needs a commercial diving license. Welding on drilling platforms is more difficult and requiring a person who has multiple skills and licenses. The offshore welder does much more than just welding. In many cases, the welding work is taken far below the water surface. Such jobs are not qualified by any facilities and that can be very dangerous for life. The fact is that the welding on the high seas platforms are highly paid. It is not a secret that the wet welder, a licensed diver makes as much as $ 500-800 dollars a day and in many cases can take home even more. His functions include welding above the water surface and below. Gaining these jobs is not difficult if you are qualified to perform them. If you are a welder who has a commercial diving license, why not try your hand at what might be the best paying job you've ever had?